Oooooooh that chocolate tart. I might ask my OH for this cookbook just for that chocolate tart. Janice, your photos of these chocolate tartlets are divine! Thank you so much for your kind words - I am thrilled you liked the book. 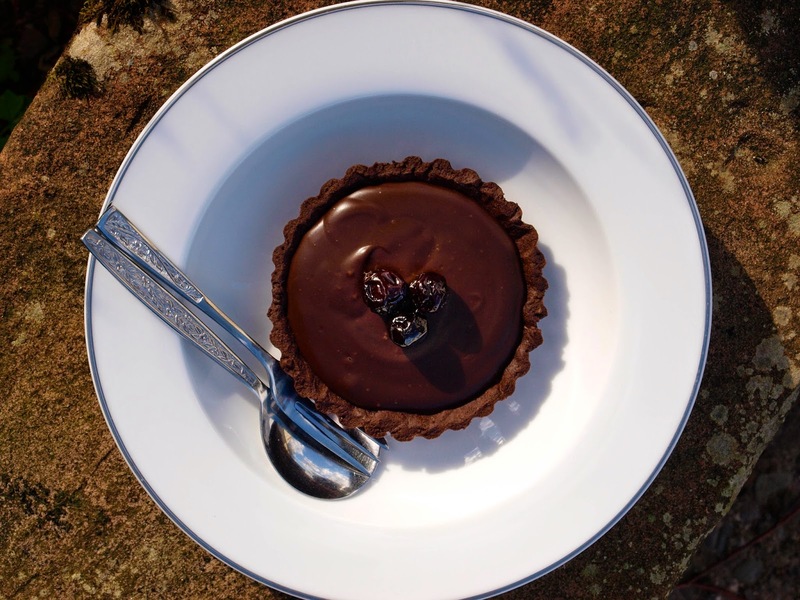 I have yet to dive into Jill's latest book, but these Chocolate Tartlets are fabulous!! A great way to get started into French pastry baking, and to encourage more of it, I'm sure! Just lovely, Janice! The book sounds just up my street, I will definitely be putting it on my wish list! Thanks for entering your double chocolate tartlets into #PerfectingPatisserie, they look so good with that thick chocolate ganache. It's full of lovely recipes Bintu, I'm sure you would enjoy making them and your family would enjoy eating them! Thank you, Jill. The tartlets were delicious, thank you for the opportunity to review. I'm sure you will make something fabulous when you decide what to make, there are so many beautiful pastries. You are welcome Lucy, your challenge could have been made for this book! 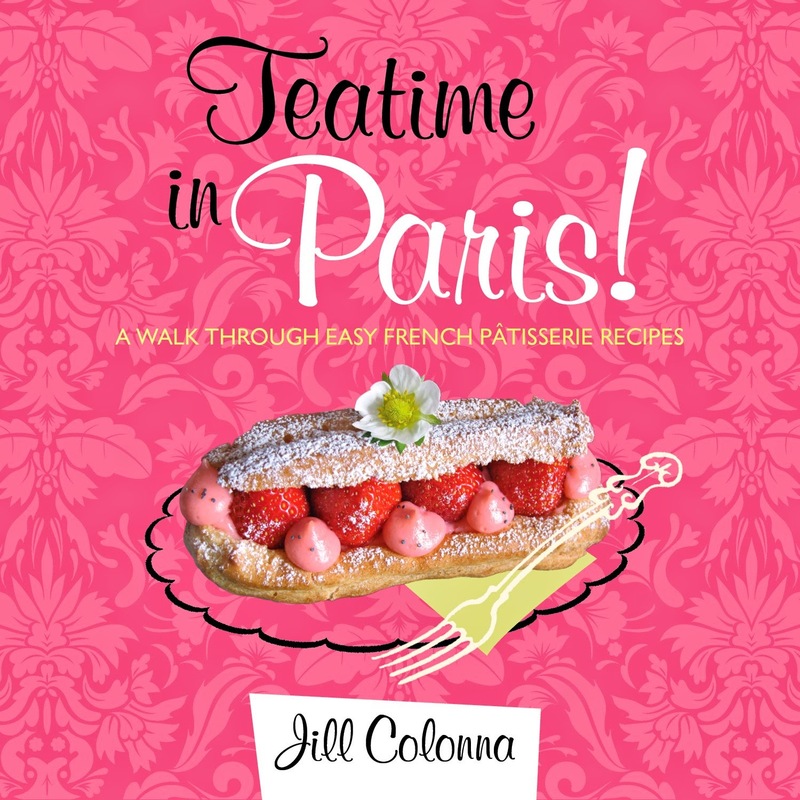 This looks like a great little cookbook, and that tartlet looks delicious! I love your variation suggestion of adding cardamom and ginger to it! Wow they look so delicious! Thanks for entering into Treat Petite. I'm rather scared of pattiserie! My baking is definitely more rustic than pretty and precise. I do fancy giving chocolate pastry a go. Wow, utterly gorgeous, I am very petrified of baking so I think I will leave these to the experts ! Oh that looks good Janice and you could change up the fillings too with a nice pastry case like that. Wow! These look so good! Definitely my kind of dessert. Not to sure I'd like cardamom infused ones though, but these are my ideal dessert just as they are. well, aren't they divine little tarts... I LOVE your book reviews they are so honest and to the point. 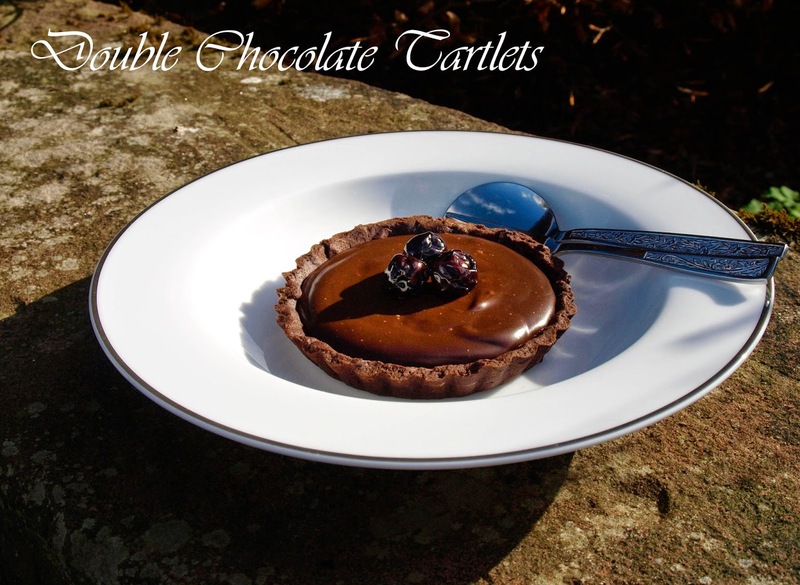 Love these chocolate tarts too. salivating! How perfect is that book for my little Treat Petite Eurovision quest? These look delicious Janice, thanks for taking part. Thank you, not my variation though, it's in the book. There are lots of these excellent ideas for the recipes. You are welcome, and they were delicious. I'm pretty rustic myself Claire, however the instructions are very clear, so I'm sure you would make some lovely bakes. Gosh Anita-Clare you are so good at cooking, you can't really be scared of baking, it's not hard at all. There are lots of filling ideas in the book, Passionfruit and Lemon Meringue Tartlets sound really lush. Thanks. Lots of ideas for different flavours if you don't like cardamom, maybe elderflower pastry cream or rose pasty cream, both sound lovely. I know, that's what I thought Stuart, was clapping my hands with glee! Those tarts look superb as is the book. You're well ahead of me in writing up Janice, but I will get there. These look amazing. I will have to look out for this book. 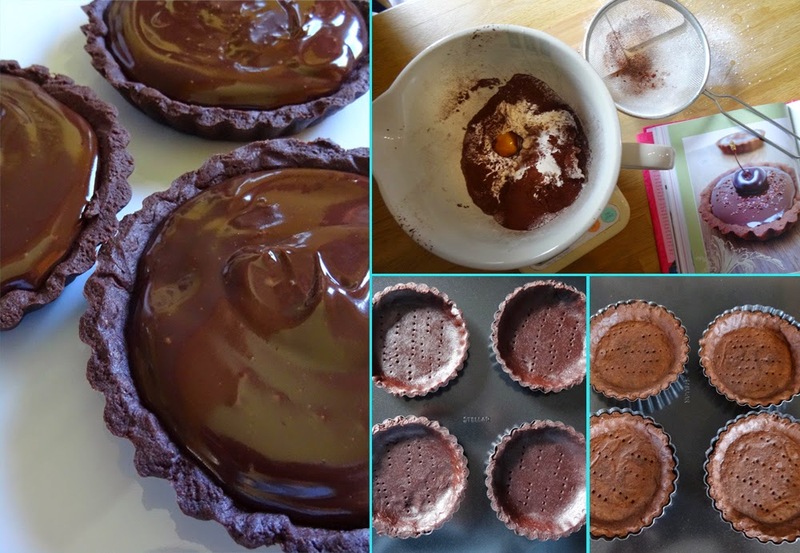 I've been looking for something chocolatey tarty to make for the bank holiday - these look amazing! I think it will have to be this! Thank you, Janice. What lovely comments here - and I think we have a few budding chocolate pastry testers to give it a go - you've certainly tempted everyone with your lovely photos! And I've finally found a way to link this up on my homepage - including the giveaway! Thanks so much again for such an honest and wonderful review. You are welcome Jill. I genuinely enjoyed making the tartlets and I'm sure I will be returning to the book to make more pastries. Book sounds amazing. We enjoyed some delicious goodies when we visited Paris. I love a good Chocolate eclair, cream scone or Macaroon. My fave tea time treat is a pavlova! And thanks for linking up the tarts to #WeShouldCocoa - I really must get on with that review!